ANNOUNCEMENT: I’ve learned that the Drury University Alumni Convocation, 11:00 a.m., Thursday, October 8, 2015 in Stone Chapel, is open to the public. I’ve been given twenty minutes for my talk and I promise not to abuse the time. If you are in the area and would like to attend, I look forward to seeing you there. I’ve mentioned this before but wanted to share this bulletin that I received yesterday from the conference. Hope some of you can be there. Meet Our Author’s Luncheon Speakers! If you’ve been reading our e-mails about the upcoming Missouri Early Learning Conference, you already know about some of the great speakers and sessions we have in store for you. But we have even more to offer! You see, at the Missouri Early Learning Conference, we don’t believe in wasting time. Instead of simply telling everyone at lunch time that we will see them after lunch when sessions resume, we offer a fantastic “lunch & speaker combo” with our Author’s Luncheons, sponsored by the Missouri State Council of IRA. 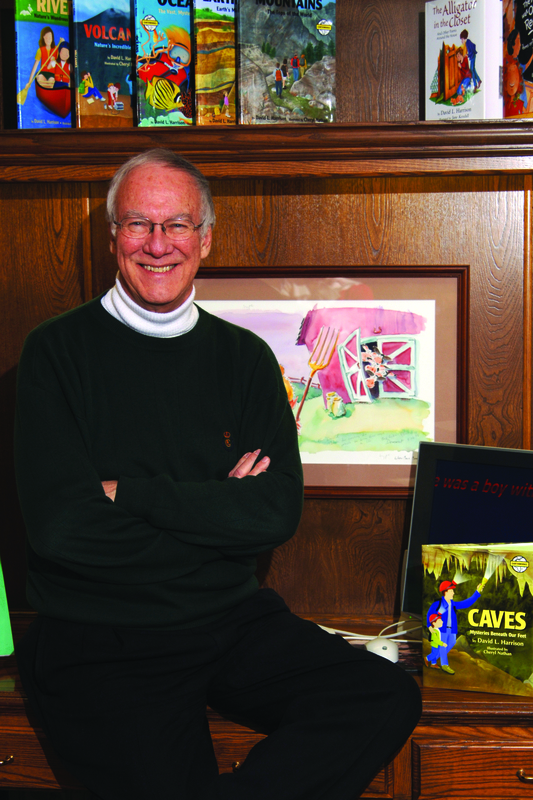 This year, our author/speakers will be beloved children’s author Marc Brown and prolific Missouri children’s author David Harrison. Marc Brown is best known as the author and illustrator of the “Arthur” books. Marc has been working with the beloved aardvark for over 25 years. Born one night when Marc was telling a bedtime story to his son, “Arthur” soon evolved into the book Arthur’s Nose, published in 1976. Since then, Marc has written and illustrated more than 30 “Arthur” books, the latest of which is Arthur Locked in the Library!, and has illustrated many other books, including one with his wife, author, illustrator, and psychologist Laurie Krasny Brown. Marc will be our Thursday Author’s Luncheon speaker. David Harrison, author and Poet Laureate of Drury University in Springfield, Missouri has published 90 books and received numerous awards for poetry, fiction, and nonfiction. His work has been anthologized in more than 185 books, translated into twelve languages, sandblasted into a library sidewalk in Arizona, painted on a bookmobile in Colorado, and presented on television, radio, podcast, and video stream. His poetry collection, Pirates, represented Missouri at the 2013 National Book Fair in Washington, D.C. He is currently at work on five professional books, four fiction picture books, one nonfiction picture book, one chap book, and five books of poetry. David will be our Friday Author’s Luncheon speaker. We hope that, instead of going out to lunch during the conference, you decide to spend some time listening to these great authors. If you have not yet registered, go to the Registration Page on the conference website, and be sure to select the Author’s Luncheon option when you register. Like us on Facebook and follow us on Twitter (@MOEarlyLearning) to get the newest updates on presenters and sessions or send us your ideas!